Tony Stark's latest invention has revolutionized the world but Matt Murdock isn't sure that's such a great thing. Murdock knows better than most how appearances can be deceiving and Tony Stark is bound to be hiding something behind his efforts to make everyone beautiful using his new Extremis App. The devil, as always, is in the details and The Daredevil is about to get into Iron Man's business! Tom Taylor delivers an amazing issue that is as easily accessible as the first. Indeed, the only disappointing aspect of this second issue of Superior Iron Man is that it stands on its own a little too well. The cliff-hanger at the end of the first issue is completely forgotten and the focus here is firmly upon the conflict between Iron Man and Daredevil, without any thought as to who was the mysterious figure we saw speaking with Pepper Potts in the last issue! Once again, Yildiray Cinar does an excellent job on the artwork for this series. 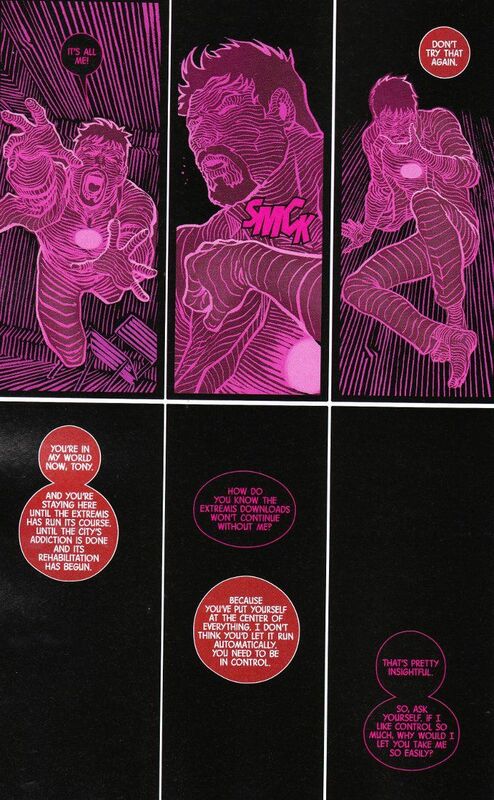 Of particular note is the sequence in which Cinar shows us the world from Matt Murdock's perspective. 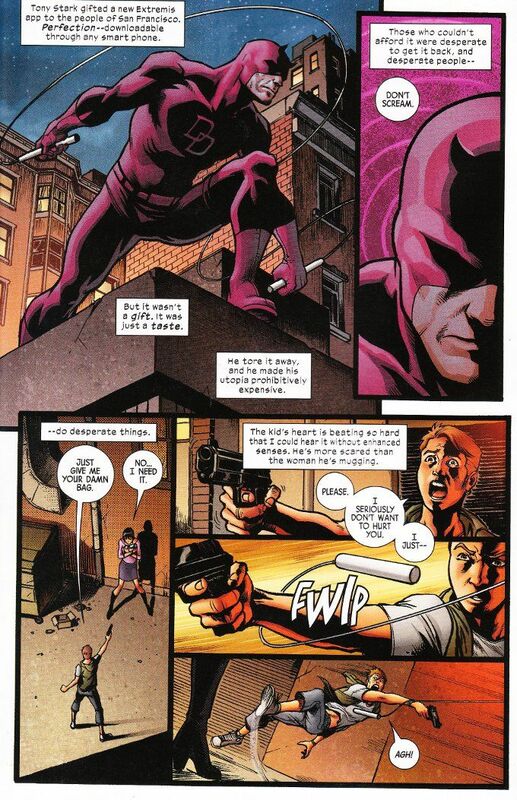 It seems nearly every artist who tackles Daredevil has a unique method for conveying Murdock's radar-vison and Cinar is no exception.